Charles Berman is a guitarist, composer and multi-media artist. 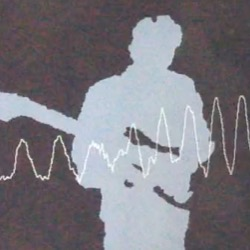 Charles' primary medium is live multimedia performance, making use of electric guitar, computer, infrared motion sensor and projector. Using a combination of Ableton Live, Max/MSP/Jitter and Max For Live, he has compiled a unique set of experiences that are centered on his original music and live guitar performance. As a guitarist in Boston, New York and New Orleans, Charles has performed with artists including Dr. John, Bobby Rush, James Andrews, Rockin' Doopsie Jr, the Cadillacs, Benny Sharoni, Hey Dave, and the Casey Berman Quartet. As a technologist, Charles has built complex software in engineering and financial institutions. In 2004, Charles released a CD of original music named "Poinciana Revisited" which is available on iTunes, Apple Music, Spotify and other major music channels.